Sunshine Dizon says that her marital woes have made her stronger. 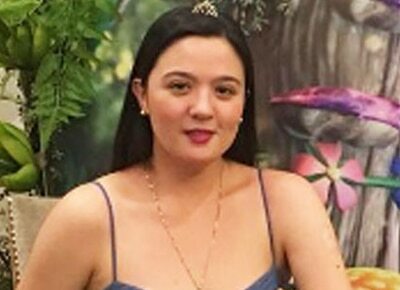 Sunshine Dizon remained unfazed after recently facing her husband Timothy Tan and his alleged mistress in court. “Hindi naman ako ang nagkamali, nagmahal ako ng totoo at tapat,” she said. She even pointed out that she had no regrets despite everything that has happened. “I got married at 27. All the pain and sacrifices are worth it, especially having my two beautiful babies,” said Sunshine. What’s more is that, Sunshine claimed that she has learned to be independent. First there was her mom and after getting married, there was her husband. “My world revolved around my husband to a point that when this thing happened there were a couple of months when I really did not know what to do,” she admitted. “I realized that in order for me to protect my family and ensure my kids’ welfare I have to endure this and persevere,” she explained. “In return, I received more of their love, which really did strengthen me,” she said. Is she still open to fall in love? “I’m still young and I’m not closing my doors. But for now, I just want to love myself more and concentrate on my children,” she ended.